The executive director of National Right to Life said the organization has its hands full "trying to stop the killing of babies"
Even as many religious organizations, from liberal to conservative, denounced the Trump administration's policy of separating immigrant families at the U.S.-Mexico border, some major advocacy groups that depict themselves as "pro-family" declined to join in the criticism. Two of the most influential anti-abortion groups in the U.S. — the National Right to Life Committee and the Susan B. Anthony List — said their focus on abortion is so intense that they avoid wading into other issues. "We refrain from public comment on immigration and many other topics, including other policies that impact families," said the SBA List's president, Marjorie Dannenfelser. David O'Steen, executive director of National Right to Life, said the organization has its hands full "trying to stop the killing of babies." President Trump signed an executive order Wednesday to temporarily stop the practice of separating migrant families at the U.S.-Mexico border. The order maintains the administration’s zero-tolerance prosecution policy for those crossing into the U.S. illegally. The executive order may present new legal challenges as it goes against an established legal ruling. "There are many policies on which we have no stand, for or against," O'Steen said. "We're not on either side of this issue." He noted that President Donald Trump had fulfilled several campaign promises to anti-abortion groups, including appointing federal judges endorsed by those groups and seeking to curtail government funding to Planned Parenthood. O'Steen and Dannenfelser commented after their groups' silence on the separations was criticized in an opinion piece in The New York Times. "If the traditional pro-life movement is to regain credibility as something other than a tool of the Trump administration, it must speak out clearly and forcefully against harming innocent children as a means of deterring undocumented immigration," wrote Charles Camosy, a Fordham University professor who is on the board of Democrats for Life of America. The separation policy was in flux Wednesday as Republicans worked on legislation to address the issue permanently, and Trump signed an executive action to halt the separations. Ahead of those new developments, two major Christian-oriented advocacy groups — the Family Research Council and Focus on the Family — had issued statements expressing regret that some immigrant families were being separated. But unlike numerous religious groups, they did not assail the Trump administration. "It's impossible to feel anything but compassion for these kids, who must be dealing with a great deal of pain and confusion," wrote Tony Perkins, president of the Family Research Council. "But the origin of that pain and confusion isn't U.S. law or the Trump administration. That burden lies with their parents who knowingly put them in this position." Jim Daly, president of Focus on the Family, wrote in a blog post that the crisis at the border is "a complex consequence of bad policy, unenforced laws and an inability of politicians to make difficult and often unpopular decisions." In his post, he attacked Planned Parenthood — a leading provider of abortions — for its criticism of the separation policy. "Planned Parenthood permanently separates children from their parents each and every day," Daly wrote. The responses of these self-described family-values groups contrasted sharply with the harsh criticism of the policy from many religious organizations, including those with generally conservative outlooks. "Families are the foundational element of our society, and they must be able to stay together," said the president of the U.S. Conference of Catholic Bishops, Cardinal Daniel DiNardo. 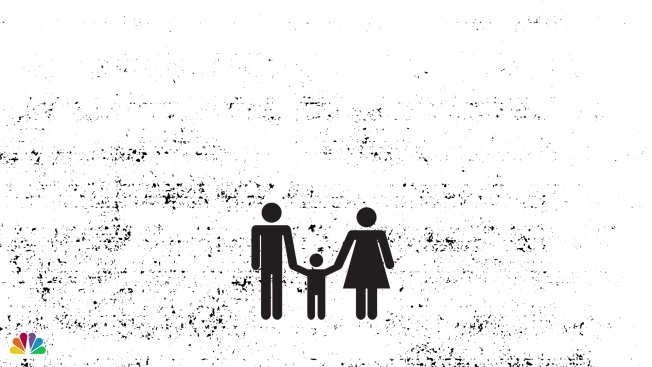 "Separating babies from their mothers is not the answer and is immoral." 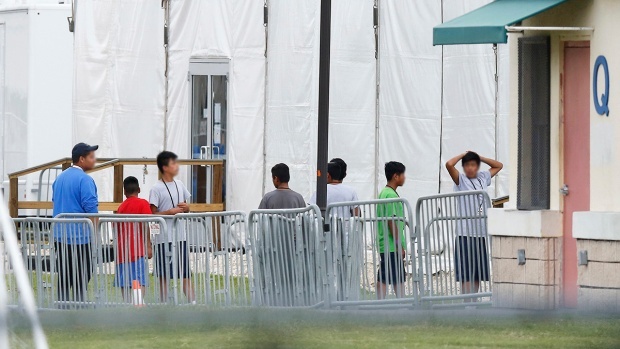 A lawyer for young migrant children at a Florida detention center says her clients, one as young as 3 years old, are traumatized by the forcible separation from family members. Attorneys say attempts to track down their parents have been unsuccessful. WTVJ's Marissa Bagg reports. Pope Francis, in an interview with Reuters published Wednesday, said he supported DiNardo's stance. The Southern Baptist Convention, the largest Protestant denomination in the U.S., is broadly supportive of many Trump administration stances, but it passed a resolution at its recent national meeting saying "family unity" should be a priority of immigration policy. One of the SBC's highest-profile leaders, the Rev. Russell Moore, was among eight prominent evangelicals co-signing a letter to Trump on June 1 warning that the family separations could cause "devastating and long-lasting" harm to the affected children. The Mormon church said it was "deeply troubled" by the separations, depicting them as "aggressive and insensitive." Attorney General Jeff Sessions was targeted with religious-based criticism after he cited biblical scripture to defend the separation policy. Addressing "church friends" in a speech, Sessions said: "I would cite you to the Apostle Paul and his clear and wise command in Romans 13, to obey the laws of the government because God has ordained the government for his purposes." First lady Melania Trump made an unexpected and unannounced call to detention centers and facilities at McAllen, Texas, on June 21, 2018. The visits come a day after President Donald Trump reversed a policy that separated migrant children from their families once they were detained at the border. This week, more than 600 members of Sessions' denomination, the United Methodist Church, signed a letter accusing him of child abuse, immorality and racial discrimination. Sessions also was criticized Wednesday at the annual meeting of the largest black denomination in the U.S., the National Baptist Convention USA. Its president, the Rev. Jerry Young, said Sessions had taken the biblical passage out of context.